Climate change mitigation policies tend to focus on the energy sector, while the livestock sector receives surprisingly little attention, despite the fact that it accounts for 18% of the greenhouse gas emissions and for 80% of total anthropogenic land use. From a dietary perspective, new insights in the adverse health effects of beef and pork have lead to a revision of meat consumption recommendations. 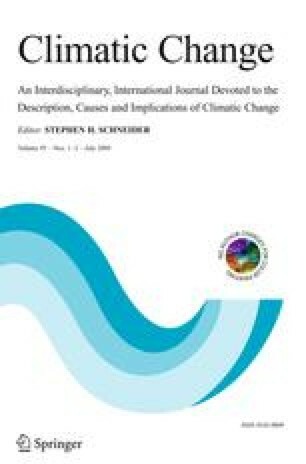 Here, we explored the potential impact of dietary changes on achieving ambitious climate stabilization levels. By using an integrated assessment model, we found a global food transition to less meat, or even a complete switch to plant-based protein food to have a dramatic effect on land use. Up to 2,700 Mha of pasture and 100 Mha of cropland could be abandoned, resulting in a large carbon uptake from regrowing vegetation. Additionally, methane and nitrous oxide emission would be reduced substantially. A global transition to a low meat-diet as recommended for health reasons would reduce the mitigation costs to achieve a 450 ppm CO2-eq. stabilisation target by about 50% in 2050 compared to the reference case. Dietary changes could therefore not only create substantial benefits for human health and global land use, but can also play an important role in future climate change mitigation policies.